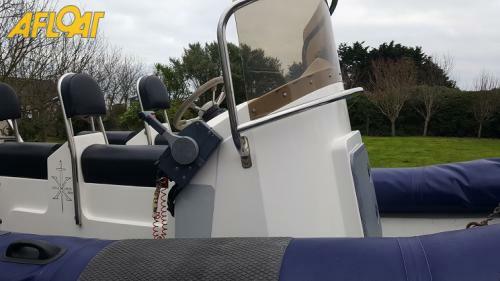 Simple and easy to use this dedicated Irish and UK boats for sales site offers you an uncluttered and comprehensive selection of yachts, motorboats, dinghies, sportsboats, canoes and tenders for sale. Select the category of boat you wish to browse and click away to find your next boat. If you're selling a boat, register and place your ad for as little as €10, adding your boat is easy and we welcome your feedback. This website offers the details of vessels and services on this site in good faith but cannot guarantee or warrant the accuracy of this information nor warrant the condition of the vessels. A buyer should instruct his agents, or his surveyors, to investigate such details as the buyer desires to be validated. Vessels advertised here are offered subject to prior sale, price change, or withdrawal without notice. Excalibur 6.8 Rib with Yamaha 150 H.P. 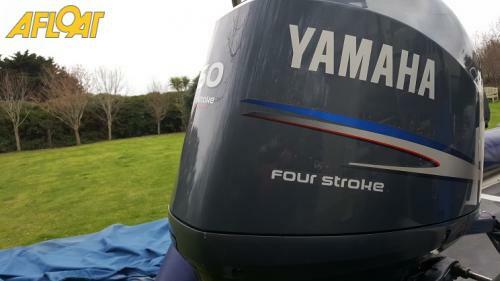 four stroke outboard and Indespension Roller Coaster twin axle braked road trailer. 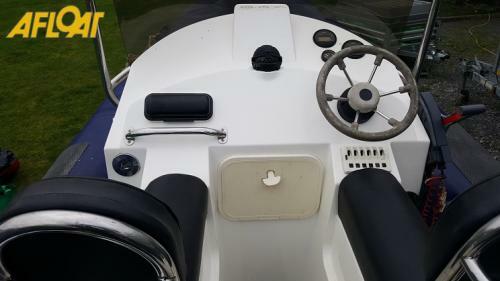 Console with screen and grab rail.Four jockey seats with storage underneath.Large clear deck aft.Cover and engine cover. 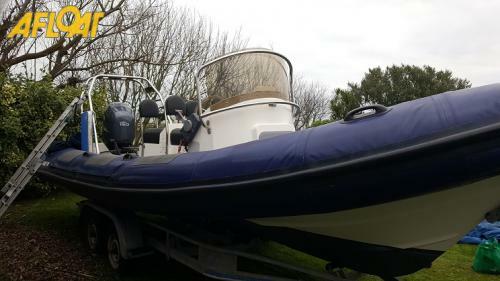 This is a one owner rib used for family holidays and with low hours. Professional maintenance on trailer, rib & engine. The rigid-hulled inflatable boat, (RHIB) or rigid-inflatable boat (RIB) have increased in popularity over the past 20 years. Over this time they have proved they are some of the safest and most sea-worthy boats on the water with their light-weight, high-performance and high-capacity structure with a solid, shaped hull and flexible tubes at the gunwale. The design is stable and seaworthy. 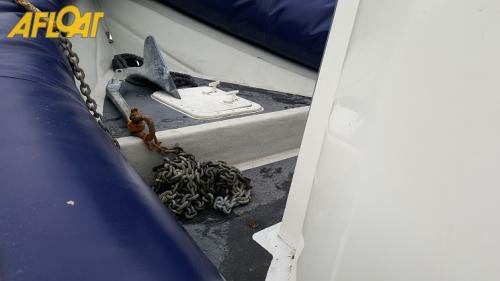 The inflatable collar made from a Hypalon material allows the vessel to maintain buoyancy even if a large quantity of water is taken onboard due to bad sea conditions, which has proved useful in Irish waters! The RIB is a development of the inflatableboat. The RIBs shallow draught, high speed, maneuverability and relative immunityto damage in low-speed collisions are advantages in these applications. Ribs are commonly used for passenger carrying, rescue work, patrol activities, policing, military applications, diving and lots of leisure uses such as cruising. Other uses include work boats (supporting shore facilities or larger ships) in trades that operate on the water, as well as use aslifeboats and military craft, where they are used in patrol roles and totransport troops between vessels or ashore. RIBs are commonly 4 to 9 metres (13 to 28ft) long, although they can range in length between 2.5 and 18 metres (7.5 and 55ft). A RIB is typically propelled by one or more outboard motors or an inboardmotor turning a water jet or stern drive. Generally the power of the motors is in the range of 5 to 300 horse power (4 to 220kW). 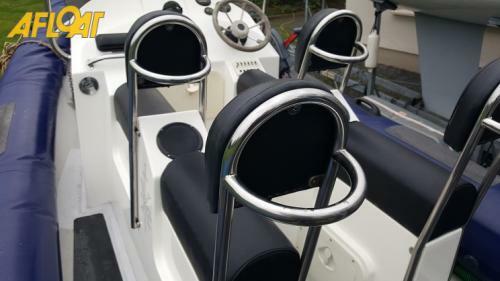 Recently a number of RIBs have been developed with full cabins or cuddys which has made them even more useful for work boat use. Some of these covered RIBs were pioneered in Ireland most notably by Northern Ireland firm Red Bay Boats of Country Antrim. Other popular Irish built RIB names include Lencraft, Red Bay Stormforce, Exaclibur and OSM. Other popular marques spotted in Irish waters include Zodiac, Ribeye, Cobra, Avon and Ribcraft to name but a few.